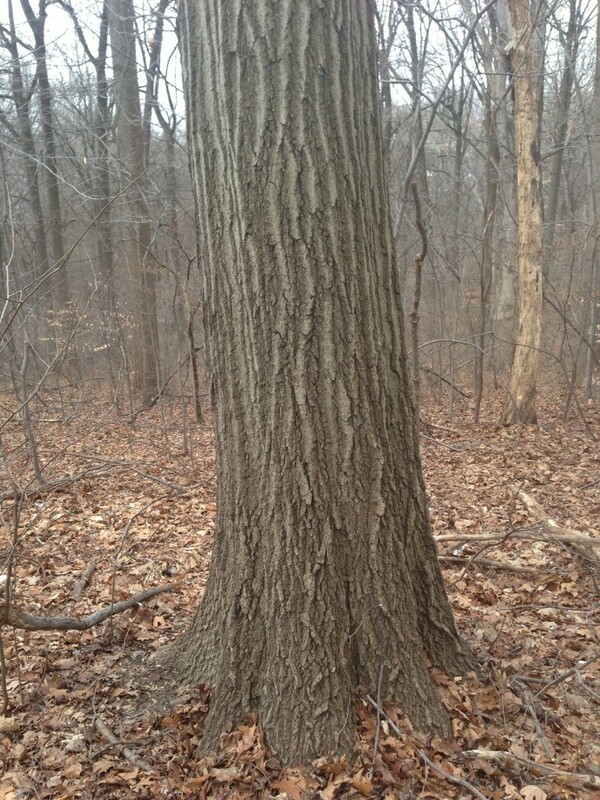 Quercus rubra, Red Oak, bark and trunk. Notable smooth gray Fissures. Photographed in Morris park Philadelphia Pennsylvania January 25, 2013.